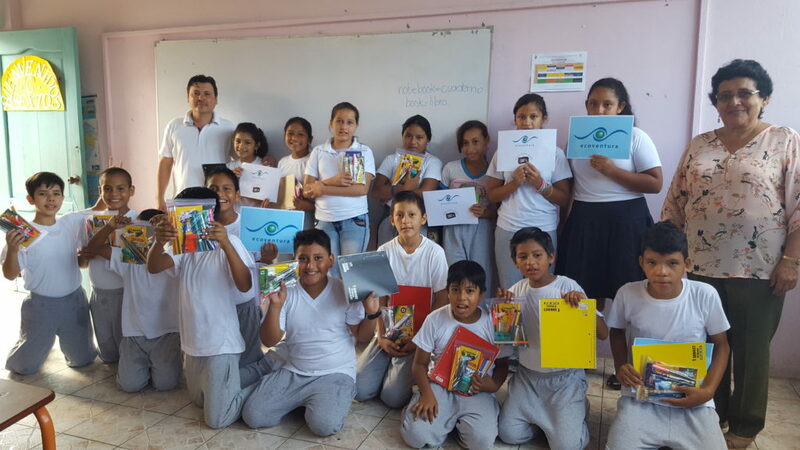 As one of the most ecology-minded and socially responsible tour companies in Ecuador, Ecoventura supports various initiatives that benefit the local community schools and foundations of the town of Puerto Baquerizo Moreno, San Cristobal. With a population of 5,600, San Cristobal has the second largest population in the Islands after Santa Cruz. 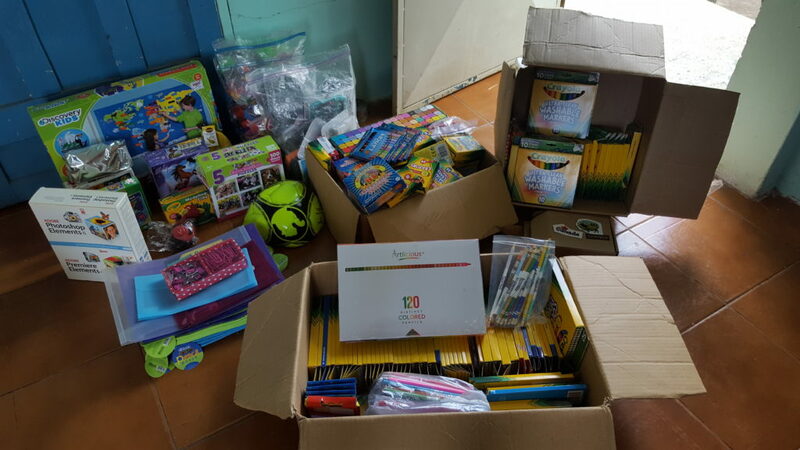 In partnership with Pack for a Purpose, and thanks to our generous travelers, we constantly deliver school supplies to numerous schools in need including Alejandro Alvear School and the New Era Galapagos Foundation. Both support art programs, Eco Scouts, English activities and children with special needs. We ask our travelers to pack 5 lbs (2.27 kgs) of supplies by providing lists of requested items. The amount only takes a small space, requires little effort and still makes a Big Impact. With the help of the captains of each yacht and our warehouse manager, we deliver the supplies directly to schools and foundations. This makes it easier for any traveler to participate and contribute. Some people bring pencils, pens, erasers and markers while others bring English textbooks, dictionaries and notebooks. Guests who wish to bring other type of materials are more than welcome to do so as long as they are needed by the school. We have had cases where travelers come to us and ask if they can bring bigger and heavier supplies like computer equipment, scanners, a sound system, puzzles, soccer balls, modeling clay, software ecology-focused teaching aids, amongst other items. 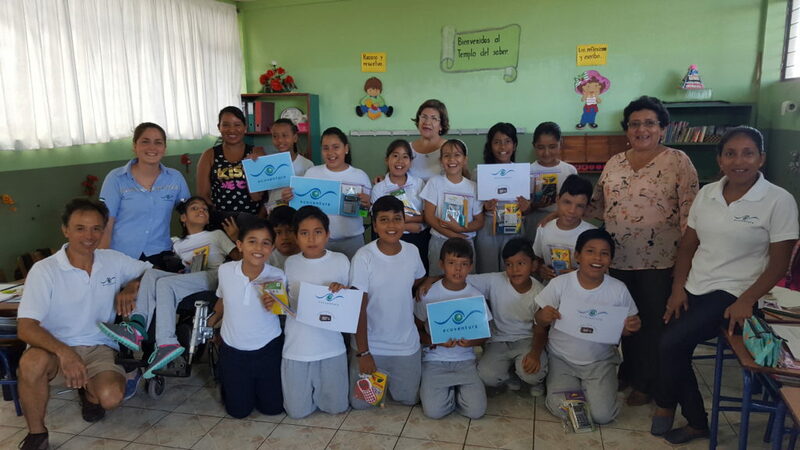 All this help given by our guests represents big opportunities for the teachers and children of the San Cristobal Island. Teachers have improved the education system with the different teaching materials they have received and students learn and improve their English language through the books and dictionaries. Younger students use puzzles, modeling clay and colored pencils for motor activities. In 2015, Ellie a 5th grade student from the U.S.decided to Pack for a Purpose and helped students from schools in need in San Cristobal. She found out about the partnership on our website and decided to bring 300 toothbrushes and 10lbs of English-Spanish dictionaries. She also asked for help from her dentist, family and friends. An indirect way that travelers make a positive impact through their Pack for a Purpose donations is the free space they leave in their suitcases after delivering the supplies. At their destination, travelers can purchase handicrafts they can take home with them, thereby helping the economy and people of the islands in another way. 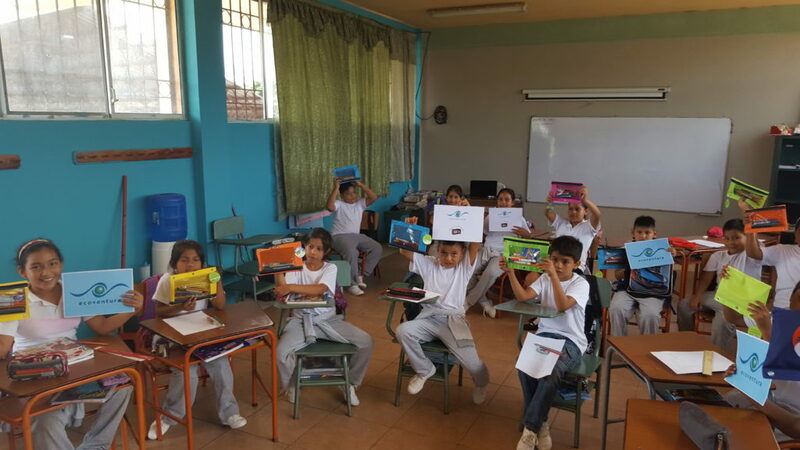 With our Pack for a Purpose donation this last April, we delivered 40lbs of supplies to Alejandro Alvear School and the New Era Galapagos Foundation where children showed their appreciation with excitement and big smiles! Packing for a Purpose is definitely a great experience for someone who wants to help and give extra support to children and young adults in need!